Alison Brasier is about as Nevadan as they come – a second generation “Born and Raised.” When her childhood friends were watching Nickelodeon, Alison was glued to The People’s Court. After graduating from Las Vegas’ Bishop Gorman High School, Alison attended UNLV and earned a bachelor’s degree in psychology in 2001. She thought little about being a lawyer until called for jury duty in a two-week capital murder trial. She loved everything about the courtroom and watching the process unfold. As a juror, she saw the difference in skill level between the prosecutor and the defense lawyer. She learned great lawyers prepare well and believe in their case. Alison was hooked. After the verdict, Alison took the LSAT and started law school at UNLV. She excelled as a law student, earning the CALI Excellence for the Future Award in Mediation and an Outstanding Participant Award in a community service program. She received her law degree in 2007 and is a member of the Nevada and Utah bars. 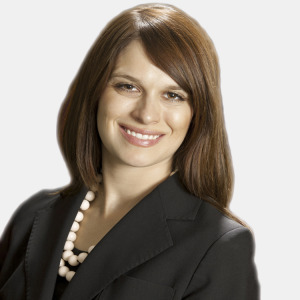 Before joining the Richard Harris Law Firm, Alison worked for a Nevada insurance defense firm. As a trial lawyer for the people, she is frequently in the courtroom, setting the example of a great attorney for today’s jurors, through preparation and believing in her case. She is a member of the prestigious Multimillion Dollar Advocates Forum, an organization limited to lawyers who have demonstrated exceptional skill and success for their clients. Alison is also a Court Appointed Special Advocate on behalf of children in foster care. In 2012, she received the Outstanding New Volunteer Award and loves giving kids a voice during tumultuous times. Alison embodies Nevada’s “Battle Born” motto. From watching The People’s Court as a child, to jury duty as a young adult and now as a trial lawyer, Alison lives for the courtroom fight. What would she have done if she hadn’t become a lawyer? “I’d be a professional juror if I could,” says Alison. “Whenever anyone I know gets called for jury duty, I tell them I hope they get picked, because I loved it.” Alison and her husband Jeff, also a lawyer, are devoted UNLV Runnin’ Rebel basketball fans – rarely missing a home game.